Join us for a special workshop centered on Paweł Althamer’s Draftsmen’s Congress, part of the exhibition “Paweł Althamer: The Neighbors”. 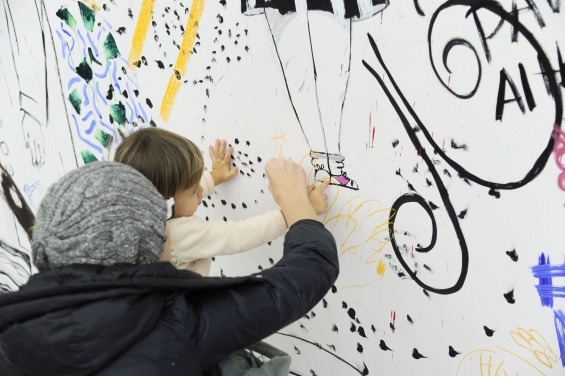 From 10 a.m. to 12 p.m., contribute to this massive installation in the New Museum’s Fourth Floor gallery by drawing, tracing, painting, sketching, and having fun. New Museum educators will also offer family friendly tours of current exhibitions during the two-hour period.